The executive leadership of IA Interior Architects is pleased to announce the opening of its 21st office in Philadelphia, PA. Kelly Funk, NCIDQ, LEED AP BD+C, will lead the office as Managing Director, with a primary focus of building the office and practice, and expanding IA’s global presence into the Philadelphia market. Kelly brings broad-based industry knowledge spanning workplace strategy and design, having worked in both IA’s New York and DC offices for several years and on international projects. Kelly is a workplace innovation leader who has spoken at international conferences and industry panels including CoreNet Global Summits, SXSW Interactive, IIDEX, NeoCon, and Metropolis Magazine Think Tanks. She has been published in Metropolis Magazine, Architizer, and ArchDaily, recently receiving an ARIDO award with her team for a project in Toronto. Kelly is a native Philadelphian and is excited to give back to this thriving community. 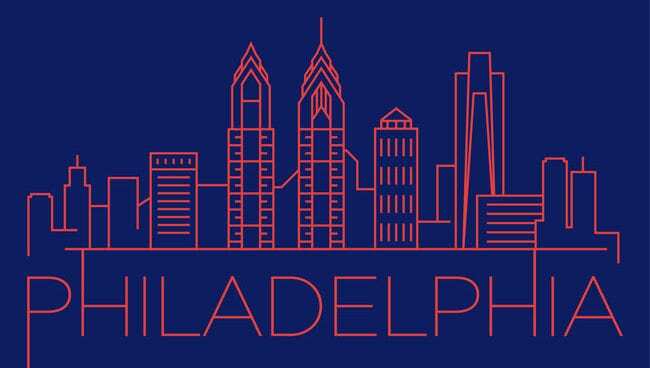 Already a city known for iconic architecture and design, the greater Philadelphia area has been a hub of activity in the past half-decade. Complemented by a huge boom in commercial real estate development, notably in Center City, the Navy Yard, and Schuykill Yards, the city is poised for tremendous growth. Taking into account the significant talent pool from acclaimed schools such as Drexel University, University of Pennsylvania, Temple University, and Jefferson University (formerly Philadelphia University), IA knew that the time was right to cultivate a local presence. “We are excited to be planting a flag in Philadelphia, a city that has critical mass, design talent, and over 100 universities and major companies. We have no doubt that Kelly will develop a strong, dynamic and successful office,” shares David Bourke and Tom Powers, IA’s co-CEOs/Presidents. IA | Interior Architects expands its U.S. reach.